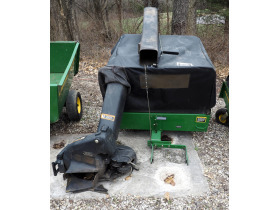 The Edwards family is liquidating construction equipment, building materials and beautiful household furnishings in this Oak Grove Missouri estate auction. 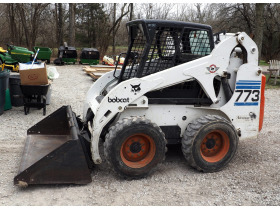 This business asset and estate liquidation auction is being offered to the public via online bidding and includes a bobcat earth mover, John Deere lawn tractors, bagger carts, trailers, augers, power tools, man cave bar signs, home construction materials, antiques, furniture, home decor, appliances, and so much more. 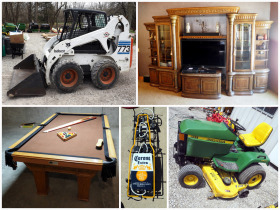 Bid your price today on these quality estate and business liquidation items located in the Kansas City area! See a full list of items here. 2000 Ingersoll-Rand Bobcat Model #773 Turbo Diesel, Rubber Tire,790 Hours, Includes Smooth Tooth Bucket, Vin #519011055 and much more! See current bids. 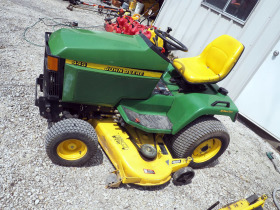 John Deere 445 Lawn Tractor With All-Wheel Steering, Heavy Duty 3 ft Pull Behind Aerator, John Deere Collection/Bagger Cart and much more! View catalog. 2004 Texas Bragg 6' x 12' Flatbed Utility Trailer With Drop Down Ramp, 1997 18' Starlite Flatbed Utility Double Axle Trailer With Tool Box and much more! 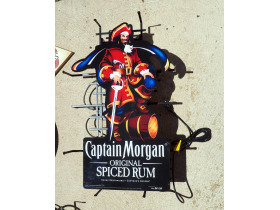 Place bids here. Leaded Stain Glass 3 Piece Front Entry Way Door Includes Frame, Pro Choice Golden Trophy Southern Mulch And Cypress Blend, 4' Plastic Woven Snow Fence and much more! View items. Hobart Mig Wire Welder, Jet 10" Tilting Arbor Saw, Generac Megaforce 6500 Gas Powered Generator On Cart and much more! Place bids 24/7. 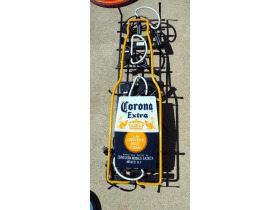 Corona Extra Beer Electric Neon Bar Sign, Overland Billiard Company Pool Table With 1" Slate Top, Captain Morgan Lighted Neon Wall Sign, Hand Crafted Chainsaw Lion, Power House Pulley Driven Workout Machine and much more! It's easy to bid. 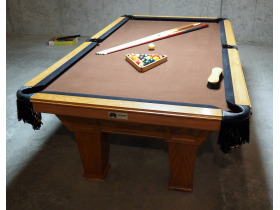 Oak Storage Hutch, Antique Parlor Table, Custom Solid Wood Octagonal Game Table and much more! Bid now. Formal 6 Piece Lighted Media Center With Beveled Glass Cabinets, Unique Antique Pedal Driven Sewing Machine With Wood Cabinet, Antique Solid Wood Vanity With Tilting Mirror and much more! Look before you bid.  Kenmore Refrigerator/Freezer, Frigidaire Side By Side With Water and Ice In The Door, Exterior Propane Ready Heater, Whirlpool Front Load Washer and Kenmore Elite Electric Dryer and much more! See full list of items. 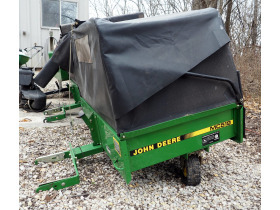 Custom Made Tailgators Storage Box, Steel Spring Loaded Patio Rocking Chairs With Matching Foot Stools, Rolling Outdoor Rubbermaid Storage Cabinet and much more! View more pictures. If you are you responsible for selling the contents and property of an entire estate, this can be an overwhelming task. 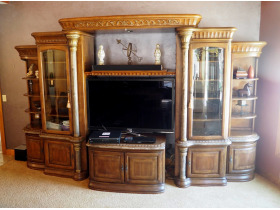 Are you looking for an estate sale company or estate auction company? 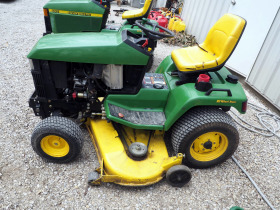 Do you know the differences between an estate sale and an estate auction? Whether you are in the Kansas City area, or anywhere in Kansas or Missouri, Mayo Auction and Realty will help you understand what method of settling an estate is best for you and your family.